Mix together olive oil, mustard, sugar, garlic and lemon juice. Season well with salt and pepper and set aside. Peel the cucumber into ribbons using a potato peeler. Slice the fennel very thinly. Now is the time to use a mandolin if you have one. 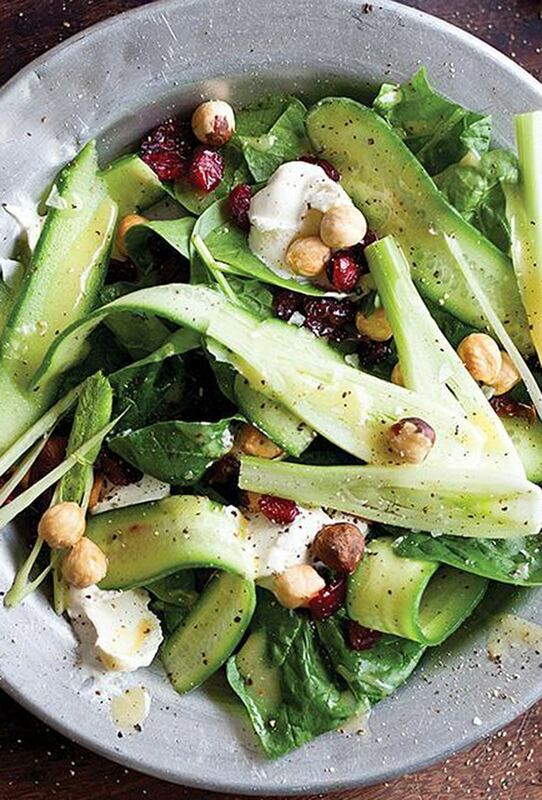 Toss cucumber and fennel together in a large bowl with the spinach, hazelnuts, and cranberries. Add the dressing and mix well. Serve with a few dollops of goat cheese, salt and pepper.